We are honoured to host some of the most interesting and sustainability-conscious brands at Sprout! Our participating brands includes local farms, urban farming technology brands, artisanal brands, specialty food purveyors, and all things healthy, good, eco and green. Recognising the importance of personal health and the daily challenges of the stressful lifestyles we face, H.W Traditional Medicine was established in the year 2000 and started manufacturing its own TCM (Traditional Chinese Medicine) products such as capsules, sachets and powders. Seeing the health benefits and potential market for Manuka honey, H.W Traditional Medicine began importing UMF Manuka honey from New Zealand, including 100% Pure New Zealand Honey (an international brand that can be found in the USA, England, Japan and Singapore). Being one of the largest local importers of Manuka honey, they believe in bringing good, genuine products direct from the source and most importantly, maintaining competitiveness by offering consumers some of the lowest prices in Singapore. 1degreeC is a Singaporean online start-up specialising in handcrafted cold brew coffee and cold tea. The company prides itself on providing healthier and flavourful beverages with no added sugar, no preservatives and no artificial flavouring. The brand’s artisanal Cold Brew Coffee is made with specially selected coffee beans. The freshly roasted coffee grounds are first steeped in cold water before brewing, a process which produces a smoother, sweeter and less acidic coffee brew. They also have a range of non-caffeinated Cold Teas using fresh herbs and organic ingredients. Drinks come pre-packaged in glass hip-flask bottles, which 1degreeC encourages customers to recycle by offering $0.20 for each bottle returned. The Aerospring is a modern, compact and vertical aeroponic gardening system that helps you grow up to 27 edible plants at a time using only one square meter of space. It’s a tried and tested outdoor gardening system that has successfully turned many aspiring gardeners into urban farmers. The Aerospring Indoor Garden kit is the newest addition to the Aerospring family and transforms the system into an all-year garden. It is a complete indoor gardening system: with professional grade LED grow lights and airflow management in its own honeycomb-shaped grow tent, it allows you to grow the perfect crop indoors, all year round. It's fun for the whole family and a wonderful way to discover the joys of gardening with your children. One of the best ways to know where your food comes from is to grow your own. We offer a 1-stop water-culture solution, from hydroponics accessories to designs of various outdoor and indoor hydroponics systems for hobbyists, educators, researchers, communities, schools, polytechnics, F&B establishments, offices, factories and farm owners. 3. Ammonia-free nutrients best for air plants & orchids. Antea Social is a local specialty tea brand with a focus on artisanal teas. Here, we hope to bring a sense of mindfulness with every sip. We inspire conversations through tea and encourage you to slow down, brew a cuppa, and be present—we hope that amidst all the clutter in our world today, you'll find some time to reconnect with yourself and your loved ones. Our teas are sourced directly from the tea makers whenever possible, so that we can convey stories from makers to drinkers. AromaMayMay is a diverse group of health enthusiasts who are passionate about the idea of using natural, organic and easily found (homemade) materials to make toxin-free Do-It-Yourself (DIY) items, including skin lotion, body scrubs, insect repellent, cleaning agents, and air cleaner sprays etc. As advocates of natural healing, we aim to help people discover how the life force of plants –essential oils– can provide a myriad of benefits in our daily lives in the aspect of general well-being. We also educate the community on how to switch their household and personal care products to more environmentally friendly ones. Asmara® is a Singaporean product brand that specialises in 100% natural beverages designed for health & wellness. Asmara® harnesses the best from each culture’s traditional medicinal practices like Ayurveda, TCM, and Jamu along with Western scientific breakthroughs to boost the beneficial effects of its wellness beverages. Food scientists and technologists have specially curated different superfoods known to influence our skin health, immunity, weight, digestion, gut health, and mood in order to create these products. While biscotti is available almost anywhere, bake&bake specializes in encapsulating flavours and curating each one to perfection. With the generous amount of filling in the range of Biscotti available, you can trust bake&bake for a mouthwatering treat that also keeps your sugar levels in check. Like their tagline suggests, "One is Never Enough". Benns Chocolate began in 1973, when founder Ng Tuck Ming started making chocolate in Singapore. Over the years, we learnt about the deeply saddening reality of the cacao industry—farmers produce richly but are compensated poorly. Through our bean-to-bar chocolates we aim to shift their mindsets: by focusing on producing quality cacao, they will be better compensated and their livelihoods improved. At Benns, we are proudly committed to sourcing healthy, sustainable chocolate direct from cacao farmers in Asia. Journey with us as we learn more about their stories and how we can change lives—one origin at a time. Structured around Permaculture's 3 core values of Earth Care, People Care and Fair Share of Surplus, Carbon InQ Pte Ltd is a Singapore-based social enterprise that specializes in providing design and consultancy services in the niche field of Urban Permaculture. Its aim is to empower institutions and individuals to live more sustainably through the careful redesigning of their urban spaces, communities and activities. Southeast Asian honey is often unheard of or ignored due to a lack of marketing and publicity. In fact, the climate in this region ensures an abundance of tropical fruits and flowers, making it conducive for beekeeping. With plenty of sun and periodic rainfall, bees do not have to suffer harsh winters without food, which makes Southeast Asian honey more sustainable. Cerana Honey is a Singapore-based company with a bee farm located in Thailand. Unprocessed and obtained only by extraction without any pasteurization, our honey is harvested and bottled directly at the farm using traditional methods. In Singapore, we supply our products to F&B establishments, hotels and retail shops. Premium Local Products delivers high quality, authentic and healthy products right to your doorstep. Our products are sourced directly from worldwide producers and are 100% natural. Discover the hidden treasures of various localities: premium quality Greek Extra Virgin Olive Oil, Baobab Fruit Powder, Kinkeliba, Moringa and more. Embark on a healthy and delicious journey with Chufala through the variations of the Spanish superfood root vegetable, Chufa. Munch on our nut-free bites and top your smoothies/yoghurts with Chufa powder for extra vitamins and minerals. Clessidra is Singapore’s Italian gourmet grocer, specializing in authentic and artisanal Italian food such as pasta, extra virgin olive oil, aged balsamic vinegar, pasta sauces and dips as well as cheese and truffle products. We also import sweets and chocolates. We search every corner of Italy for the most authentic, small production farm-to-table products, made only with seasonal local ingredients. We believe that the very best consistently comes from small scale producers. And in working with small, family-owned local businesses, not only do we ensure that our products are fantastic and truly genuine, we work to protect a way of life and tradition that has been preserved through the generations. Comcrop’s fresh herbs and leafy greens start their life as seedlings that are seeded by our partners at MINDS, before being transferred to our rooftop farms to bask in the rich sunlight of Singapore. When fully grown, our crops are then harvested, quality controlled and packed by our elderly workforce. Our pesto is then made by a restaurant that employs people with disabilities before finally reaching your plate. By supporting Comcrop, you support Singapore’s marginalised labour force. You provide meaningful work for people with disabilities and our silver generation, while enjoying healthy and tasty local vegetables on your plate! You can find ComCrop’s Rooftop Produce on RedMart and in selected NTUC Finest supermarkets! Craft Tea Fox does Japanese-inspired craft tea the way it should be – by using only the highest quality Matcha and Hojicha from Uji, by shipping that delicious goodness over thousands of kilometres, and by bottling it fresh – so fresh you'll forget you're sipping on centuries of tradition. But we're not your traditional tea company. We're on a greater mission – to bring delicious café-grade Japanese beverages to everyone, and we're not talking only about folks in bamboo-clad tea houses. Our Craft Tea Fox story is different: it's a modern twist on Japanese-inspired tea culture, something we think can be enjoyed by anyone. D’Splendid Pte Ltd is founded and created by Ms Emma Foong who wants to provide natural alternatives for her loved ones. She believes that pure and clean ingredients nourish you from the inside out. Our company’s products are made from simple and pure botanical ingredients, sourced carefully and sustainably from the best sources internationally. Our goods are high-quality and all-natural without any preservatives, parabens, imitation fragrances or animal testing. We are glad to have helped our customers improve their well-being; we also continue to strive to make our products affordable for them. Our Truffles are from Croatia. We are the exclusive distributors for all ranges of truffle products such as White or Black Truffle Olive Oil, Truffle Cheese and Cream, Truffles Porcini, Truffle Olives, Truffle Slices, Truffle Paste and more. DON8URI - a social enterprise (co-founded by a Deaf & a Hearing) advocates for social integration of deaf individuals by providing them gainful employment with the ultimate social mission to equip them with the relevant skills and eventually the capability to embark on their respective entrepreneurial journey to pay it forward. We envision a truly inclusive Singapore where Singapore Sign Language (SgSL) is officially it’s 5th national language. A selection of gourmet donburi curated by deaf advocates are served at our live station catering to consumers at farmer markets/bazaars/flea markets and businesses in Singapore, for private or corporate events. We also conduct sign language workshops to foster greater inclusion and bridge communication between the Deaf and the hearing. ecoWARE specialises in quality household & kitchenware products made using natural materials. They are eco-friendly and free from chemicals, making it easy to go green. Mother Earth is beautiful. Let’s save her for our future generations and go green together with ecoWARE products. Edible Garden City is dedicated to creating social change through sustainable agriculture. 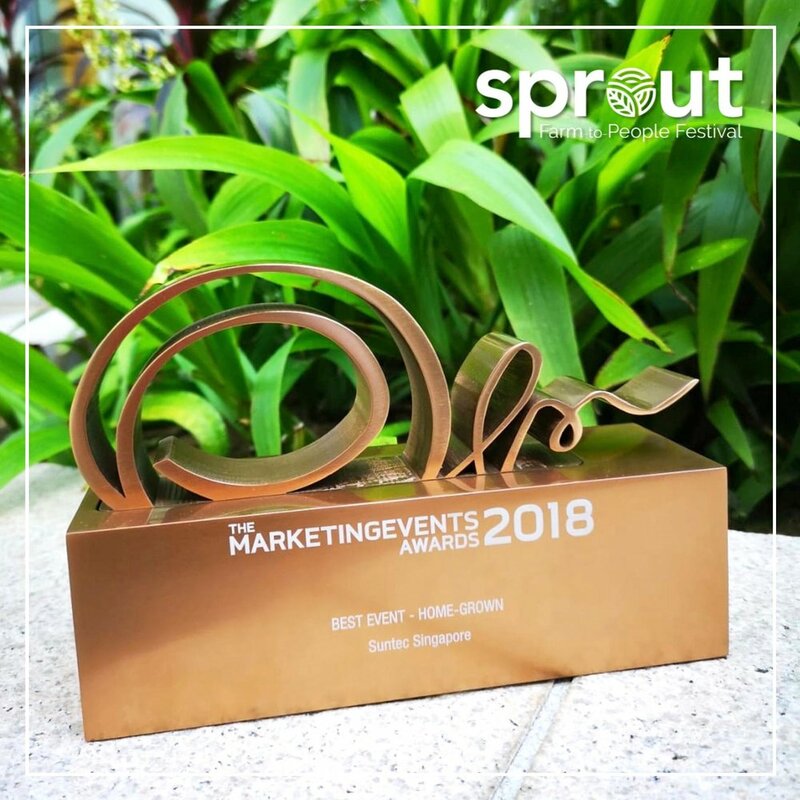 Our team is made up of people from all walks of life who simply love to grow green things, and are passionate about finding a solution to Singapore’s food security and waste management challenges. We are a ragtag group of engineers, chefs, young graduates, retirees, adults with special needs and so on. Collectively, we have more than 100 years of farming experience and knowledge. Our goal is to help cities become more self-sufficient by growing food in under-utilised spaces like rooftops, beneath viaducts and everywhere in between. We like tap water because it’s quick and eco-friendly, but it can be host to unwanted chemicals like fluoride and chlorine, as well as hundreds of contaminants. Epic Pure Water Filters are designed to remove up to 99.99% of all tap water contaminants. All filters are replaceable and tested to the highest industry standards. With each filter capable of purifying 568 litres of water, the Epic Pure Pitcher is also a great economical choice, saving both your wallet and the earth from single-use plastic water bottles. Epic Water Filters consistently comes out on top when compared to other leading brands in the market. A purveyor of premium specialty foods and natural ingredients that are sourced directly from trusted farmers and/or producers from mostly Tasmania and within Australia. Our products are sustainably and ethically sourced; they also include healthy pantry items like Tasmanian-grown Organic Quinoa (pre-rinsed of Saponin), Australian native herbs & spices mostly used for meat rubs/marinade, gourmet oil & vinegar, and Tasman Sea Salt. Many of our products carry a unique Tasmanian flavour called the Tasmanian Pepper Berry, which has an intense aroma, fruity flavour and delayed hot peppery kick. These native ingredients are featured in Masterchef Australia. Farmgrocer is one of the distribution companies importing and supplying a range of healthy tree nuts, organic food and snacks, predominantly macadamia nuts of different flavours. We also import a wide range of edible oils and are the sole distributor for the “Pressed Purity” brand in Southeast Asia. First Brew is a brand by Min Hiang Food Pte Ltd. The company was incorporated in 1994, producing healthy, functional beverages which can be consumed daily. We have also embraced important food technology so that the products can have a longer shelf life without the need for preservatives and chilling. Many of our beverages are also made from formulas that require less sugar. As a result, most of our products have been awarded the coveted ‘Healthier Choice Symbol’, by the Singapore Health Promotion Board. To expand the company’s market to the Muslim community, our products are all Halal certified. Visit www.firstbrew.sg. Foster Foods was started by foodies who live to eat. Fuelled by our passion for quality food, we decided to bring in products for Singaporeans with discerning tastes. With ingredients from quality sources, we hope to help each cook create their own special plate of magic, using the best ingredients at affordable prices. We are passionate about South East Asian Medicinal Herbs, Turmeric, Gingers, Moringa, herbal tonics, pure honey and teas made from the most natural ingredients that Mother Nature offers. To us, the best form of remedy is what we consume. Herbs are not necessarily bitter, but can be fashioned in such a way that is truly palatable to the taste buds. We are also producers of all these natural ingredients and are now in the process of making sure our farm is up and running. Gain Brands International is headquartered in Singapore with branches in the UK, Hong Kong, China, Indonesia and Malaysia. At GBI, we are very passionate about the premium brands we represent and establish close personal relationships with each company that we partner, both global and local. For Sprout 2019, we're proud to partner with Divine Cookies who pride themselves on only using premium quality ingredients without preservatives. Bring home organic brew-in-bag coffees & teas by The Brew Company and pair them with wholesome low sugar, eggless melt-in-your-mouth cookies without the guilt! Glife's Mission is to be the green platform for consumers across Southeast Asia, connecting farmers and consumers/food businesses. Our objective is to achieve stable food supplies and prices, sustainability, food safety, and quality food products including fresh fruits and vegetables. Glife offers a wide range—hundreds of types—of fresh fruits and vegetables to hotels, restaurants, caterers and food establishments. Glife is also an experienced vegetarian supplier, working hand-in-hand with food services and consumers directly to facilitate a better vegetarian community. We also aspire to contribute as much as possible to the green movement by increasing our items and providing excellent services to our customers. Green Spade is a start-up founded in 2016, comprising a small group of dynamic young people who love nature. Green Spade advocates green living in Singapore through promoting sustainable food waste initiatives, urban gardening practices and farming activities. We wish to bring nature a step closer to urbanised Singapore, and in the process make urban living sustainable, clean and green. Green Spade aims to provide an online platform that offers a slew of fertilisers, as well as soil and gardening products. Green Spade also provides landscaping installation/maintenance services such as tree transplanting and irrigation. Founded in 2011, Greendot is Singapore’s largest chain purveying fusion-style, plant-based mainstays. At Greendot, green starts with fresh and quality ingredients. Its inception began with aim of making greener, healthier meat-free meals more accessible and convenient for everyone. Greendot believes that everyone can make a difference to the world by being conscious in choosing what they eat. By going meat-free once a week, everyone can take a step towards creating a positive impact on their health, the community and the environment. GreenieGenie works with Fair Trade cooperatives to produce homewares which are nature-friendly, socially empowered and culturally centred. Every "Greenie" sold symbolises the presence of a "Genie" to these artisans and their families, which helps improve their livelihood, enable education for their children and re-channel resources into their community for infrastructure building. Handpicked (www.handpicked.sg) is an Asian digital pantry borne of a singular desire–to provide the everyday home cook with a selection of choice pantry basics, carefully cherry-picked for their artisanal quality. We create a platform to share the stories and insights of these artisanal ingredients making up our social landscape. Handpicked hopes to encourage families to cook more at home, and not only feed bellies but family bonds too. The simple fact is, for many, cooking is love made visible. Happy Earth is a small, certified organic farm in Thailand. We make body care products the traditional way, using only fruits, leaves, and seeds from plants grown within our local farming community. At our farm, we believe that humans are inseparable from Mother Earth—what makes Mother Earth happy, also makes us happy. This is reflected in our products, which are made through processes and ingredients that are good for Mother Earth. We don’t use chemical additives nor machine extraction for our goods, only what Mother Earth offers and only in the pure form that she intends for us. All of our products are 100% natural, chemical free, biodegradable and even edible. They are meant to be genuinely good for human beings, animals and the environment. Haru lets you serve delish, all-natural meals that focus on the development and growth of your little ones. Cook-it-yourself or ready-to-eat; it’s like having your own personal chef and nutritionist both at home and school! Founded by a couple with two fellas in tow, our wholesome range of products and services gets you out of the kitchen faster, giving you more quality time with the kiddos as they nom their way to a happy body and mind. Founder Sue Wan once struggled with abdominal cramps and nausea as a teen. When popping Panadol and Evening Primrose pills left her poorer but not much better, her friend’s mother recommended TCM herbs to relieve her menstrual cramps—they helped! What was TCM really about? She wondered. Subsequently, Sue embarked on her TCM journey. TCM concepts were difficult to understand. Moreover, conversations with skeptical friends fueled her desire to bridge gaps between TCM and the world. As a direct recipient of TCM treatments, Sue was not satisfied to leave things as they were. She wanted to know how and why. Having been in both the healthcare and F&B sectors, Sue experienced unadulterated joy when patients were healed. She was impacting people. Therefore, she wanted her business to spread the virtues of TCM and to make an ancient way of medicine more relevant. HeyHah – Made from 100% natural fresh fruits and vegetables, carefully sourced direct from local Thai farms to ensure that the highest quality chips are created without anything artificial. At HeyHah, we bring out the best flavours of each ingredient and make chips that are delicious, healthy, and suitable for all ages so that you can enjoy guilt-free snacking anytime, anywhere! With the belief that the joy of food brings people together, Holymoleydips was created to share the love of wholesome & tasty hummus with everyone. In order to widen our market reach, all the dips are vegan, dairy-free and low in sugar. They are freshly made and all-natural without the addition of preservatives and artificial flavouring. We use a myriad of spices and fresh ingredients to bring a range of exciting flavours and entice different taste buds. Home & Health Distributors focuses on clean, sustainable products from New Zealand, sourced directly from artisanal food makers. They will be exhibiting Raglan Coconut Yoghurt and Fix & Fogg nut butters during Sprout 2019. Raglan Coconut Yoghurt makes dairy-free yoghurts from organic coconuts. The entire range is gluten-free and with no refined sugar—joy in a jar! Fix & Fogg crafts hand-made nut butters with the highest quality ingredients and without any nasty additives. Jurong Frog Farm was established in 1981 along Old Jurong Road by Mr Wan Bock Thiaw, primarily breeding American Bullfrogs and trading other seafood like soft shell turtles, eels and snakehead fish. In 1993, we moved to Lim Chu Kang Agrotechology Park and established an AVA-certified and ISO 22000-accredited abattoir, which allowed our fresh and frozen frog meat to be retailed in most of Singapore’s major supermarket chains. Over the years the farm evolved into an exciting eco-tourist attraction, educating scores of students on the importance of farming and the relevance of the frog farm. The farm’s frog-related product innovations include our range of Dried and Bottled Premium Hashima and a purified frog skin collagen skincare series. Kew Organics - Dedicated to transform the skin through a marriage of nature-based and medi-aesthetics technologies. We use only fresh, vegan, non-GMO, certified organic and natural ingredients to deliver clear, healthy and makeup-free skin. Our bespoke facials encompass a repertoire of freshly-bred organic and holistic remedies for just about anything that ails: from acne scars to wrinkles, or an old-fashioned case of the blues. Sugar K - Singapore’s first-ever peel bar concept to help time-strapped urbanites, both male and female, achieve a naturally flawless complexion—quickly, effectively and effortlessly. Our unique concept of organic peels treats acne as well as dull and tired skin under 20 minutes. Kin Yan Agrotech Pte Ltd is a company engaged in agro-food related activities in Singapore since 1997. Situated in Lim Chu Kang Agrotechnology Park near Sungei Buloh Wetlands Reserve, Kin Yan is a farm free from pesticides as well as chemical and artificial fertilizers. As Singapore’s largest commercial wheatgrass & mushroom farm, we strongly believe in growing good food that is great for everyone: real and organic, and free from artificial components. Kin Yan supplies to Fairprice, organic shops, restaurants and many catering business partners who have a strong belief in bringing farm produce direct to the table. Kok Fah Technology Farm is a local family-owned business that has grown and sold leafy vegetables in Singapore for the past 30 plus years. Daily operations are now run by both the 2nd and 3rd generation of the family. As one of the pioneers in the agricultural industry, our farming process is incorporated with advanced agricultural systems & technologies from all over the world. As such we have a wide variety of produce, from Soil-based Asian Leafy Greens to Hydroponic-based Western Leafy Greens and Herbs that are harvested daily and have guaranteed freshness. Our farm also receives clients from different generations coming to participate in various activities such as educational farm tours, corporate team-building, Family Day or even our very own Weekend Market. Kühlbarra is the largest commercial fish farm in Singapore, producing premium barramundi in our pristine Southern waters. We take pride in our modern, sustainable and environmentally-friendly farming practices, exemplified by our “Good Aquaculture Practices for Fish Farming” accreditation from the AVA. We put forth our best efforts in each step of the way to grow and supply only the freshest and top-quality barramundi in Singapore. In addition to exporting our fish to the US, Australia and Hong Kong, we supply to five-star hotels and top restaurants and make our fish—fresh, ice-chilled and vacuum-packed—directly available to households via our e-commerce website www.kuhlbarra.com. Meliponini Honey specialises exclusively in exotic honey by tropical stingless bees. Our special honey has a distinctively sweet-tangy taste profile and comes mainly in raw form. Stingless bee honey is naturally low in sugar and infused with propolis. It has extra flavour and probiotic goodness due to the natural fermentation process that occurs in stingless bee honey. Research shows that stingless bee honey has a very high amount of antioxidants, as well as anti-inflammatory and antibacterial properties. In fact, the latter is is more powerful compared to Manuka honey. The Meliponini Honey brand of stingless bee honey is single-origin, 100% pure and organic. Founded in 2014, Meod Farm takes pride in growing our vegetables 100% pesticide-free. Our goal is to create Safe, Fresh and Sustainable vegetables for the People We Love. We give you peace of mind whenever you consume our produce. Our locally-grown produce consists of Asian greens like Red Pak Choy, Xiao Bai Cai, Hk Cai Xin, Bayams and Jiu Bai Cai. For salad lovers, check out our Mizuna and lettuces such as Cos lettuce, Lollo Bionda lettuce and Chris Green lettuce. My Pure Earth works directly with farmers around the globe to source 100% pure, organically-produced essential oils. All our farmers have strong environmental policies, treat their employees with respect and take pride in producing only the best quality oils. Quite frankly, THEY TOTALLY ROCK! The founder of Narada’s Kitchen, Jan Chanchila Ng, grew up in the farms of Thailand surrounded by fresh, home-grown vegetables and herbs. Jan would grow & pluck fresh produce and add them generously to her own recipes, curries and dips, whipping up fascinating dishes and transforming common food into magical experiences for her friends. After observing busy Singaporeans compromising taste for healthy but bland flavours, she decided to create condiments that could be used to prepare flavorful and delicious meals conveniently. Ultimately, the vision of Narada’s Kitchen is “creating flavourful food that makes hearts and tummies smile”. Nippon Fish Farm began operations as a wild pond with mud walls in the 1970s. Today, it has transformed into an innovative high-tech farm that is one of Singapore’s largest exporters and importers of ornamental Japanese Koi. The farm also rears Australian silver perch for consumption together with Brazilian spinach using a unique method known as aquaponics (a combination of aquaculture and hydroponics). Not only is the resulting produce fresh, organic and fast-growing, the process is also sustainable and minimizes industrial waste. Nippon Fish Farm is also known for its innovative products such as Brazilian Spinach ice cream, muffins and creamy soup. Nut Culture is a locally produced plant-based food company established in Singapore. The company produces the finest organic nut butters & nut-based artisanal vegan cheeses that are cultured to satisfy those cheese cravings. All Nut Culture foods are made using wholesome natural ingredients that are loaded with probiotics, proteins and good fats, helping you maintain a healthier, happier you. As well as being dairy-free, all foods are sugar-free, gluten-free and cholesterol-free, making them suitable for those who are vegan, lactose intolerant or vegetarian. No animals were harmed in the making of this mouth-watering vegan cheese, only nuts! Led by nature and backed by science, Nuzest premium nutritional supplements are formulated by global industry leaders and based on the latest scientific research. From the 100% plant-based Nuzest Clean Lean Protein (sans allergens, additives, preservatives, sugar and artificial sweeteners) to multi-nutrient blend Good Green Stuff (containing fruits, vegetables and adaptogenic herbs), our products are wholesome and gentle on the stomach. Quick, convenient and trustworthy, Nuzest products are designed to give your body what it needs to balance the demands of a busy life. Powerful, nutrient-packed, plant-based formulas for a stronger, brighter, more active you. Pacific Agro’s farming roots are deep, going all the way back to 1977. Our farm was built from humble beginnings here in Singapore. Blessed with this simplicity, this allowed us to commit our full attention and care to our produce. Our cherry tomatoes emanate the sun in all their oozy goodness. Herbs and veggies such as basil, white bittergourd, japanese cucumbers and more crop up on our farm too, filling our space with more colours than just the vibrant red of our tomatoes. Our produce is picked daily by our specialised growing team and transported fresh off the vine. Pétale is a French-inspired local brand. We specialize in more than 20 types of hand sewn blooming tea. Known for its beauty and health benefits, Pétale tea is a gourmet gift great for any occasion or for pampering yourself. Our blooming tea is made of ORGANIC green tea and dried flowers such as jasmine, osmanthus, gomphrena, marigold, rose, lavender and lily. Our mission is to bring about healthy tea and flower drinking with a visual experience. The word ‘restaurant’ derives from the French verb ‘restaurer’, which means ‘to restore’. Plentyfull strives to serve honest, hearty and homemade food, using the freshest ingredients and prepared with a heart that wants to see our customers joyfully satisfied and restored. At Quan Fa Organic Farm, we subscribe to ecological agrarian methods of farming. We abstain from the use of pesticides and harmful fertilizers to produce only the freshest food crops that are both nutritious and healthy. Since our inception in 1999, we have been cultivating organically-grown vegetables for the Singaporean masses. Over the years, we have grown from our humble beginnings of a small organic vegetable retailer to one of the leading distributors in Singapore today. To ensure the freshness of our produce, we ensure that all harvesting and packaging is done in the morning. Sarah and Emmet Condon started Remedy on their kitchen bench. Our drinks are made the old-school way: in small batches using a long-aged brewing process. We use only the finest organic green and black tea, and our added kombucha culture is tested to last through shelf life. We make the tastiest, healthiest live cultured drinks going ’round: chock-full of live cultures, organic acids and antioxidants that are good for your gut and wellbeing. Our natural drinks also contain no sugar – each bottle carries an official tick of approval from I Quit Sugar to prove it! Riverwalk Tandoor has established itself as one of the biggest Indian restaurant chains in Singapore. The restaurant has picked up several awards for its exquisite cuisine and outstanding service over the years. This is due to its chefs, service crew and managers who pride themselves on being Riverwalk Tandoor’s food and service ambassadors. The RWT name has become synonymous with diners simply for being the best North Indian cuisine you can find anywhere in the world. Shermay’s Singapore Fine Food is a range of Singaporean sauces and crackers based on Shermay’s family recipes and Singapore’s rich culinary heritage. It includes convenient ready-to-eat condiments such as chilli sauce (Cilicuka & Sambal Hijau), Ginger Garlic Sauce and ready-to-cook marinade (Singapore Meat Marinade). The range of crackers features prawn crackers (keropok) and bitternut crackers (emping) which are perfect for dipping in the chilli sauces. The latest addition is her granny’s recipe, Nonya Curry Powder, which is used in meat curries. Straits Preserves is Singapore’s first homegrown producer of new Asian marmalades, with flavours inspired by tropical fruits and spices, as well as Singapore’s history and cultural diversity. Each recipe has a unique story to tell. Winner of The World’s Original Marmalade Awards and The Great Taste Awards. Sustenir Agriculture is a vertical indoor farming concept that incorporates modern hydroponics techniques to nurture and sell the highest quality fresh produce. We achieve a more sustainable agricultural model through integrating cutting-edge technologies and on-going research and development to ensure the cultivation of fresh produce is done in the most effective and efficient way. Sustenir’s indoor growing technology allows for 100% clean produce by removing pesticides, air pollution and heavy metals that can be found in the external environment. Our production methods are transparent and our produce is traceable and ethically grown. Our crops are nurtured closer to customers, ensuring freshness and reducing our carbon footprint through the elimination of import logistics. SwissQonnect is a Singapore-based import company that deals with a multitude of different goods. Established in 2012 by Raphael Brunner, the idea behind SwissQonnect was to bring niche products from Europe and Australia into Singapore that were not as readily available locally. The 3 Keys is dedicated to introducing a wide array of plants and home decors. We subscribe to a miniature concept, filling our little living spaces with a cute, exotic green selection ranging from mini bonsai (as small as 10cm) to big and hardy plants such as the Caudex plant which requires minimal care. Meanwhile, we also provide workshops on Kokedama (moss ball), terrariums, floral arrangements and bonsai. The 3 Keys provides green lifestyle solutions from home to office. The Botanist and Her Thieves is a plant project started by 4 girlfriends from the creative industry who bonded over garden envy and plant cuttings. The girls a common love for putting thoughtfully designed products and plants into spaces; they are also on a mission of curating affordable, inspiring houseplant accessories for your growing plant collection. The Dark Gallery is the first dark chocolate centric cafe-and-boutique concept in Singapore, encompassing not only a wide range of decadent dark chocolate desserts, but also a discovery platform about the origin of the chocolates used and the art of making these dark treats. We carefully compose chocolate, inspiring a rhapsody of desserts. A glossary of dark indulgences. An anthology of delicious secrets. Fish Sh-nack is all about "SHIOK" snacking. Born & bred in Singapore, we bring you our famous Fish Skin Packets along with our crowd-pleasing Donburis! Our motto “Bringing the Knack in Snack” is testament to our capacity for innovation: we get the right mix of crispiness, complementary flavors and a concoction of east-west inspired condiments—not forgetting some of our WACKY ways of using Fish Skin! It has always been our dream to bring Greece to the world. Thus, the closest we can do is to share all the quality natural produce from various parts of Greece through Greek-Kouzina with our friends in Asia and hopefully the rest of the world. Greek-Kouzina always imports products from small producers with whom we have personal relationships. This way, we ensure that our products will come from the best sources available. Let’s make sustainability mainstream! This is what The Green Collective SG is looking to achieve. As Singapore’s first collective concept, The Green Collective looks to provide a platform for local sustainable brands to showcase their products and services and work towards achieving the UN SDGs (United Nations Sustainable Development Goals). THE MAKS’ COFFEE is a specialty coffee and drinkware company based in Singapore. We work directly with micro-lot coffee farmers to source for 100% premium Arabica coffee beans. By doing so, we are able to cut out any middlemen and ensure fair pricing to the farmers and their community. We also work hard to educate our partnering farms to use natural growing methods and to only handpick ripe coffee cherries. The Maks’ Coffee practices the sustainable way of producing coffee and strives to provide the everyday coffee experience that will leave a minimal environmental footprint. The Sustainability Project is a Singapore-based business which aims to encourage and inspire the adoption of a low or zero-waste lifestyle. This is done through 3 arms – Educate, Transform and Inspire. Educate – On our blog, you can find tips on how to follow a sustainable lifestyle, interviews with other green business owners and other related information on sustainability. Transform – Our shop aims to be the platform for enabling a low or zero-waste lifestyle by providing consumers with a wide range of sustainable products that are of high quality and are available at affordable prices. We want you to be able to transform knowledge into action! Inspire – We want to continue inspiring the next generation to be change-makers and to fight for Mother Earth through talks, workshops, educational trips and so on and so forth! At The Whole Kitchen we believe in a balanced life full of movement, wellness and real food. We are on a mission to help you feel your best through our genuinely healthy and delicious products, as we don't believe that eating well has to be boring. REAL FOOD EVERYDAY! All our products are 100% natural, gluten free and low in sugar, and we only use natural sweeteners like whole fruits, local honey, and organic coconut sugar to add sweetness when necessary. Made in Singapore. Simple and nourishing food, fresh from our whole kitchen to you. Enjoy! Theo10 Pte Ltd is Singapore's own manufacturer of 100% natural, certified organic healthcare products, which was founded by entrepreneur Theodore Khng at the age of 24. In 2012, he began meddling with balms and creams until he created a working prototype, which attained the SPRING Singapore's ACE-Startup grant in 2013. Today, we are proud to have our own factory, to distribute to all major departmental stores and leading organics shops, and to receive support from the public at our roadshows. Theo10 is a strong advocate for products that are innovative, natural, effective and affordable and our range of products encompass those strong beliefs. TILY Tea is your daily herbal tonic tea companion. Absolutely caffeine-free, TILY’s foundation of traditional Chinese herbal roots is packed full of health benefits that the Chinese have been harnessing for thousands of years. These Super Roots in TILY’s blends have been used for generations to maintain, repair, and rejuvenate. Today, TILY blends these super roots with naturally sweet fruits and aromatic florals to bring you a healthier, more delicious way for you and your family to drink your way to better health. Just Steep, Sip and Enjoy! TTG Kroodi joined forces earlier this year. Having showcased their vegan products side-by-side on many occasions, they got down to the serious business of pairing. The results were sensational—nothing goes better with wine than cheese. To get you started in the most delicious way possible, TTG Kroodi has 4 stunning combinations for you to enjoy: The Celebration, The Wild Child, The Traditionalist and The Gastronome. Be sure to visit their booth to try these delicious vegan cheese and wine pairings; you won’t be disappointed. A passionate traveller and businessman, Uncle Saba wanted to introduce the humble poppadom as a healthy snack that could be enjoyed globally. Using his favourite motto, “find a way, or make one”, he set about creating Uncle Saba’s Poppadoms. Today, our chips are the first of their kind: light, crispy and ready-to-eat, they’re made of 100% urad dal lentils. Not only are they cholesterol and gluten-free, they’re also rich in protein and fibre! Our snacks are halal, kosher and vegan. Uncle Saba hopes that with every bite, you will remember the love, care and effort that went into our Poppadoms! The first zero-waste bulk store in Singapore that offers you the luxury of quality-assured food and daily lifestyle products in your own containers so that you are free from plastic waste. We are your one-stop-shop to your journey towards a sustainable lifestyle. Vegepod is an award-winning, self-contained raised gardening bed, designed in Australia and made available in Singapore. Vegepod is self-watering with a wicking system, protective cover and mist sprayer. This system makes it simple for anyone to grow veggies, fruits and herbs by efficiently storing and redistributing water with its innovative reservoir system. Vegepod comes in three sizes, with stand and trolley options for added flexibility. Vegepod suits balcony spaces, landed properties, and community spaces such as schools and accessible rooftops. Vegepod is a kitset personal or allotment garden space, and an easy and inexpensive alternative to building your own raised garden bed. Whole Animal Butchery is an all-natural and responsible pet food company in Singapore. We make wholesome pet food and treats in small batches, using premium fresh ingredients that are sustainably sourced. Our products are processed minimally and are free of chemicals and artificial preservatives. Founded to improve the wellness of our pets, we have fed thousands of fresh meals which provide superior nutrition and improve the lives of healthy and sick pets. Our tasty recipes are loved by many furry customers and supported by a growing community of savvy pet owners. Join them and see the change to healthier and happier pets! YOCHA is an award-winning Singaporean artisanal kombucha brand. YOCHA Kombuchas are all 100% natural and unpasteurised, containing no preservatives, colourings or chemicals. Packed full of anti-oxidants and probiotics to keep the digestive system humming, every bottle of YOCHA Kombucha is brewed locally with love, fresh fruits and ingredients. We make it the way nature intended, always giving our consumers the BEST-TASTING and HIGHEST QUALITY Kombuchas they can buy. Available in six refreshing and delicious flavours, sip your way to a healthier gut with YOCHA Kombucha and start feeling good from the inside out today! Founded in late 2014, Yummy Takoyaki offers a variety of different Takoyaki fillings ranging from the standard seafood to even mushroom! Cheese lovers should go for our “Takoyaki Cheese Banjir Dingdong” which simply means Takoyaki drowned in cheese. We also offering unique types of Takoyaki for different consumers such as Tako-Tella for chocolate lovers and Chilli Tuna Takoyaki for spicy food lovers. You can either walk in to our store or opt for our island-wide delivery to get your hands on these freshly-made daily balls of goodness!